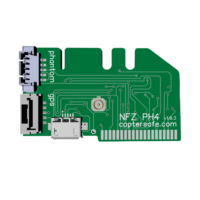 NFZ mod board allows you to fly using GPS positioning inside NFZ zones. 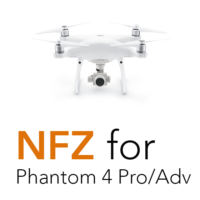 By default NFZ mod is not activated therefore you can use your Inspire 1 as usual. No NFZ correction will be applied. You can activate NFZ mod using button. Click red button between 2 and 4 seconds after power on of the battery. It has six offset modes. One click mode is most useful in most situations. 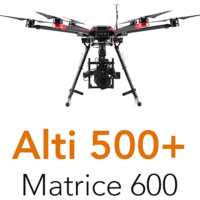 You can see position offset at your DJI Go screen after satellite position is fixed. 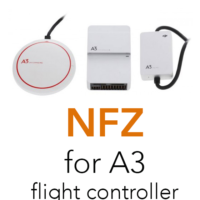 Ensure that there is no fly zone near your false position otherwise restart battery and select other NFZ mode. Disconnect 6 pin cable from upper cover. 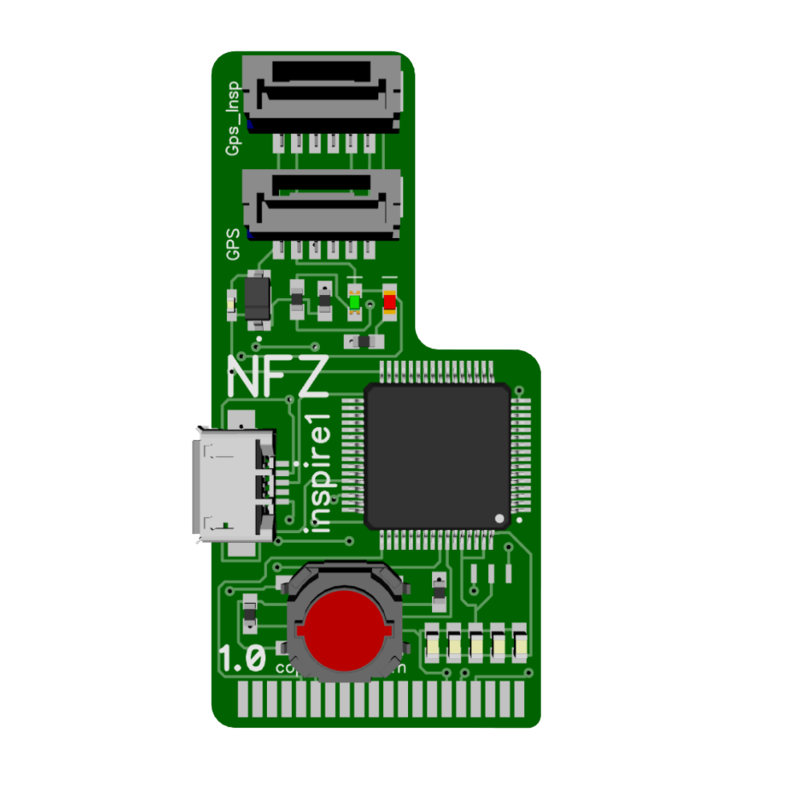 Later, you will insert it into Gps_Insp port on NFZ board. 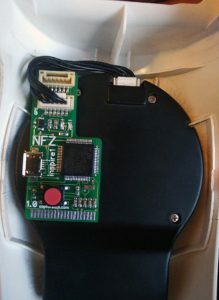 Select position to place NFZ board at down side of upper plate. Avoid zone that is used by black servo box on main body. USB port should be easily accessible from side. Remove protection from double sided tape and place it on upper plate. Check that it fits fine. Connect the supplied cable from Gps port on NFZ board to GPS. Place wire to side like on picture. 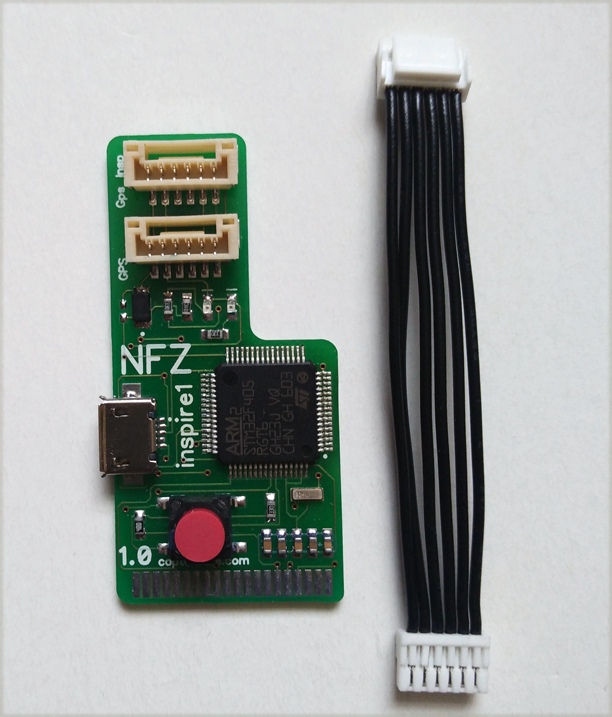 Insert cable from step #2 into Gps_Insp port on NFZ board.